This is your opportunity to own a GULF FRONT TOWNHOME located on the WEST END of Panama City Beach! NO HOA Fees! 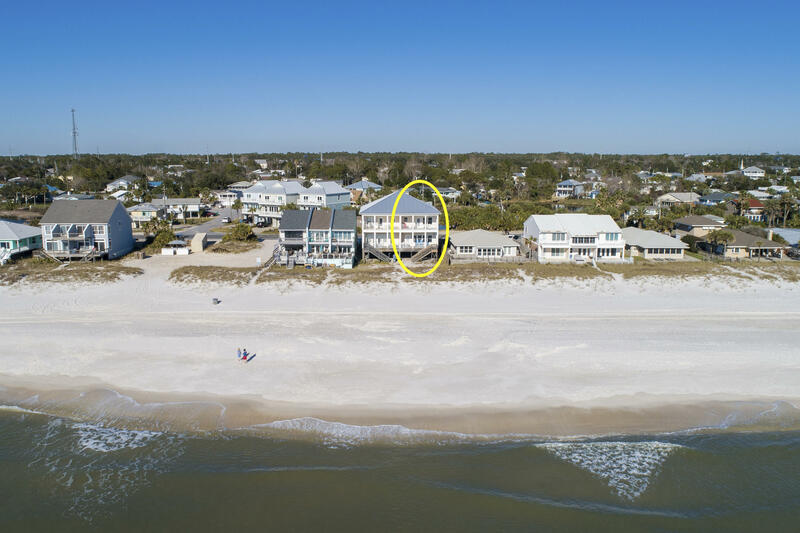 Two gulf front, large decks to enjoy the sounds of the waves, sugar white sand beach, sunsets, and firework displays from Panama City to Destin. The OPEN living, dining and kitchen areas are perfect for the whole family to enjoy. Interior features include a gas fireplace, PANORAMIC VIEWS OF THE GULF, tons of natural light, crown molding, 10ft. ceilings, ample storage, covered and open parking. Convenient to shopping and restaurants on 30A and Front Beach Road, as well as only a 15 minute ride to Northwest Florida Beaches International Airport. PLEASE SEE ATTACHED DOCUMENT FOR LIST OF IMPROVEMENTS AND EXCLUSIONS.